One Michigan police department received a challenge from a man with active warrants. 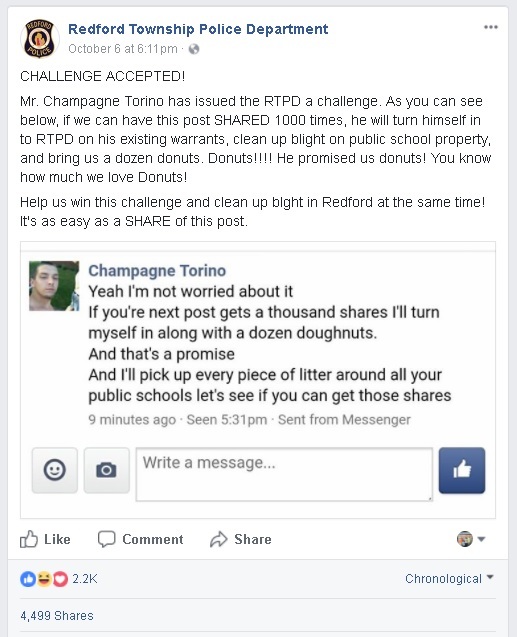 The man posted on the Redford Township Police Department’s Facebook page, offering to turn himself in if their Facebook post was shared 1000 times. He even promised to bring donuts to the police station, and help clean public property. 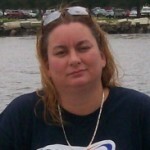 Redford, Michigan police accept Zaydel’s challenge on Facebook. Source: RFPD Facebook page. 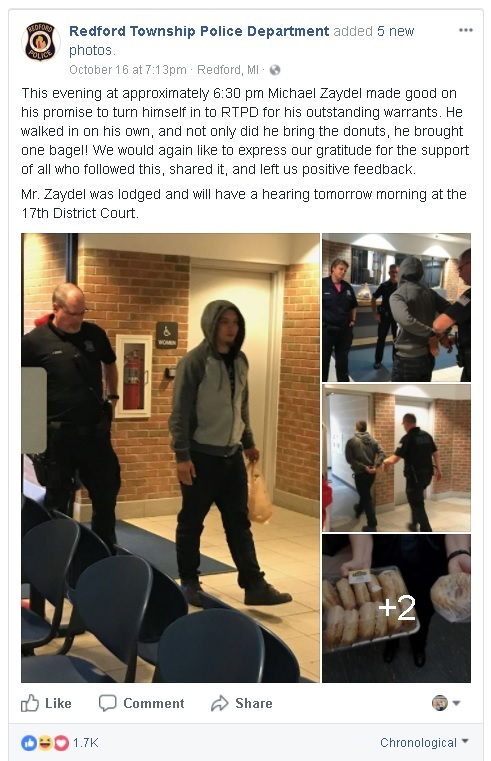 Shares exceeded the 1000 likes, and the man, Mr. Zaydel, kept his word and turned himself in… complete with the promised donuts. Zaydel surrenders to Redford, Michigan police because they reached 1000 likes on Facebook. Source: RFPD Facebook page. Redford Township Police Department of Redford, Michigan may be found on Facebook at www.facebook.com/Redford.Twp.Police.